It takes an ambitious startup to expand to its 11th city in less than 3 years, and GuavaPass certainly fits the bill. Founded in 2015, GuavaPass offers members a fitness pass that gives them access to top studios across Singapore. Since then, this lifestyle and fitness startup has gone from strength to strength, launching in markets across Southeast Asia and the Middle East, and recently opening the 3,200 square-foot GuavaLabs. We sat down with Rhyce Lein, the General Manager of GuavaPass in Singapore, to get his insights on the GuavaPass success story, as well as trends to look out for in the fitness industry. GuavaPass has just launched in its 11th city. What do you think is the key to this successful expansion? When GuavaPass was launched in 2015, the health and wellness industry in Southeast Asia was just starting to emerge, so I think we came in at a great time to release our product. Now our company has expanded to 11 cities in 2 and half years, and a large part of that is due to the GuavaPass team. We have a great global team and a great core team of 6 or 7 founding members, many of whom left corporate jobs because of their passion for the fitness industry. We’re always striving for the next big thing, whether it’s launching into a new city or creating a new product. Everyone pulls their weight and we work as a cohesive unit. Could you tell us a bit more about your GuavaLabs initiative, which is being described as “Singapore’s first co-wellness space”? GuavaLabs first started out as a 6-month pop-up; our initial idea was to bring a curated selection of classes and events into a centrally located studio. But when we went back to the drawing board for GuavaLabs 2.0, we decided to tap into our own co-working experience at The Working Capitol in order to create Singapore’s first co-wellness space. So what does co-wellness mean? Imagine you’re a freelance yoga instructor and you can’t afford your own studio. At GuavaLabs, you can rent a fully equipped room to host all your classes, while also gaining access to GuavaPass’s extensive membership network. What we’ve created is similar to co-working: you get all these different businesses coming into one space, with the freedom and flexibility to manage their own classes. What is GuavaPass’s vision, beyond offering a fitness subscription service? We always envisioned creating more than just a fitness pass for our members. From day one, we wanted to emphasize the importance of a holistic lifestyle. This commitment to health and wellness is reflected in everything we do – from the classes and events we offer to the content we create on our blog. Healthy living isn’t about doing one gym class and then being done with it. It’s about asking yourself: “What am I eating? How is my mindfulness? Am I stressed at work?” GuavaPass’s vision goes beyond fitness and embraces a more holistic approach, which has really helped to set us apart from our competitors. What new fitness and workout trends should we be looking out for in the coming year? Hybrid workouts are really popular at the moment. For instance, there’s a trend of combining yoga or Pilates classes with high intensity interval training (HIIT). HIIT is great for reducing fat and building up your cardiovascular system, while Pilates helps with core strength and flexibility, so when you combine the two it’s a great workout. Another example would be our Still Boxing studio, which offers aqua boxing classes. 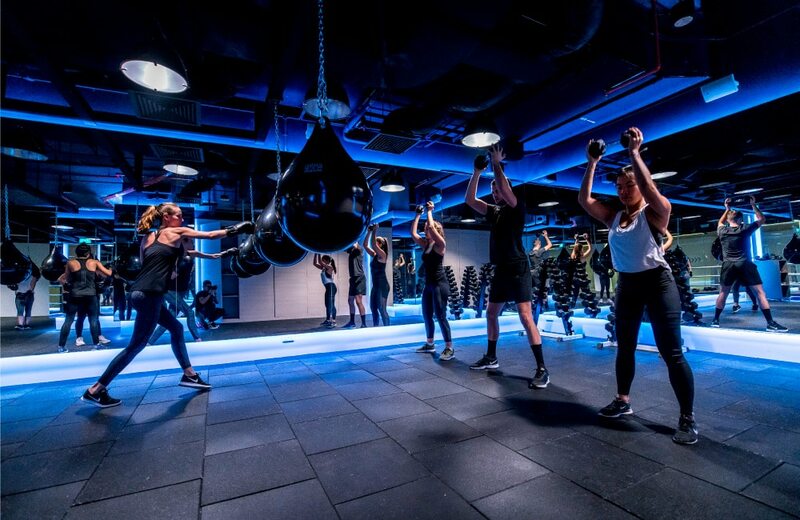 Basically, aqua boxing mixes cardio, toning, and HIIT in a high-energy environment – think strobe lights and great music! I think these hybrid workouts do really well because they offer much more variety than your average fitness class. Lastly, what’s your advice for people who struggle to fit exercise into their busy schedule? The good news is that you don’t need to schedule a full hour for your workouts. You can achieve the same results with a 35 to 45-minute workout – if you’re doing the right type of exercises and getting your heart rate up. Even doing 20-minute HIIT classes three times a week is effective, because you get your heart rate racing straight out the gate, and that’s when you start to burn fat. With so many options for lunchtime fitness classes and express workouts across Singapore, there’s always time for exercise!